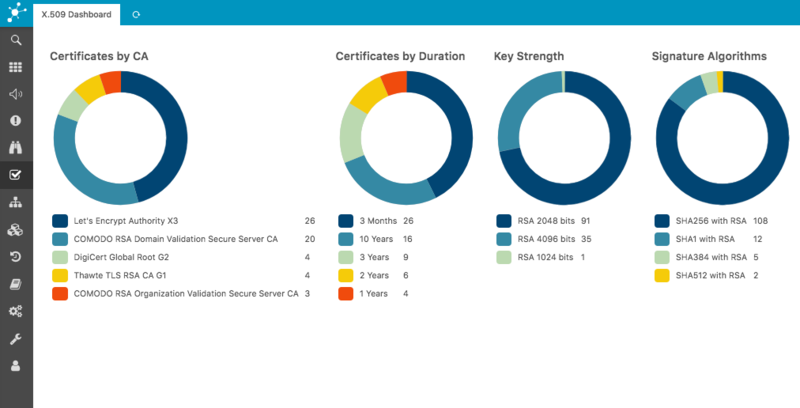 Monitor your certificates in an efficient and comfortable way. Be aware of required actions and view all details at a glance. 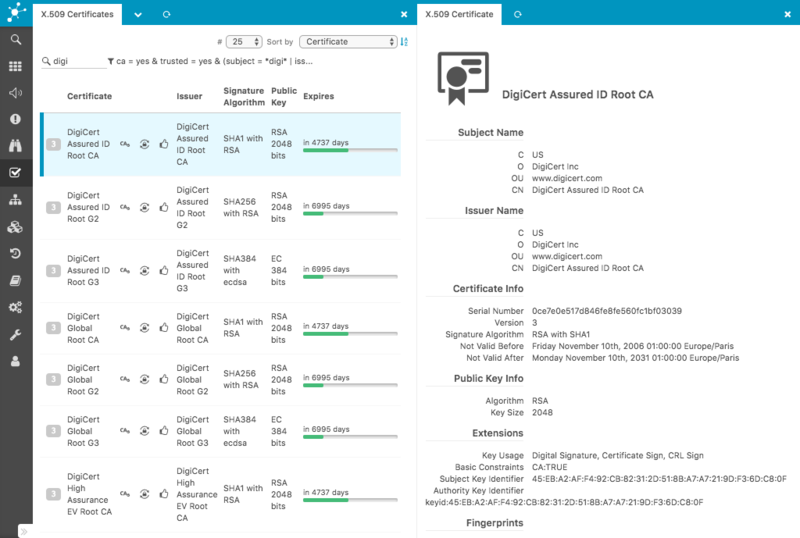 The Icinga module for Certificate Monitoring scans whole IP ranges for SSL certificates. It fetches all details about each certificate and stores the information for your convenience. You will get a quick overview within Icinga’s web interface, allowing you to always stay up to date. With the capabilities of this module you will never miss the expiration date of a certificate again. You decide at what time you want to receive alerts about upcoming renewals. Certificates are verified either against common CAs or you can use your very own Certificate Authority. The issuer, fingerprint, subject, common name any many more. This module leaves nothing out. All available facts about a certificate are provided so you don’t miss a thing when the chips are down.